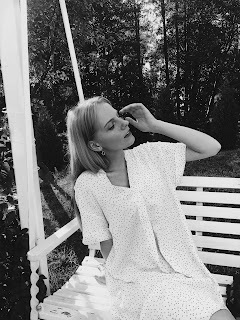 I hope you had a wonderful Saturday and I am back with a new review! I hadn't done a review in such a long time. That's weird! 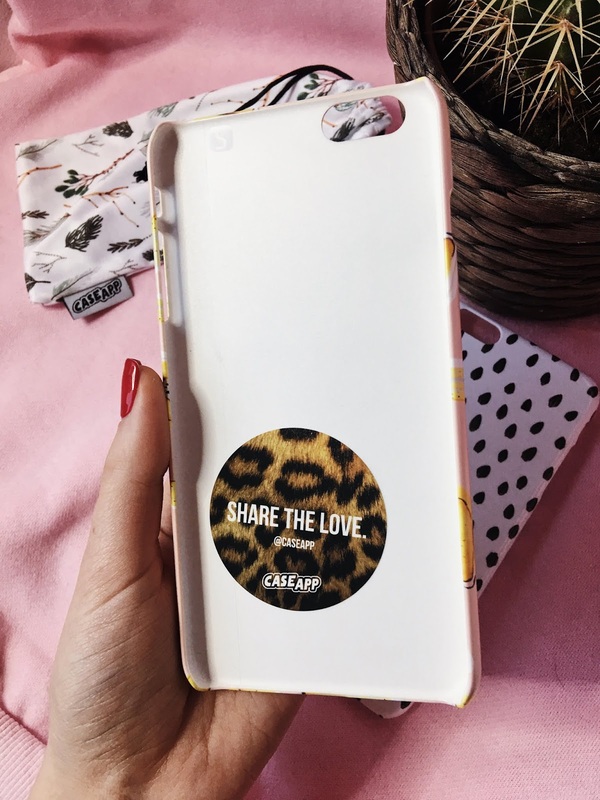 So, today I will be telling you about the CASE APP and their personalised phone cases and laptop skins. 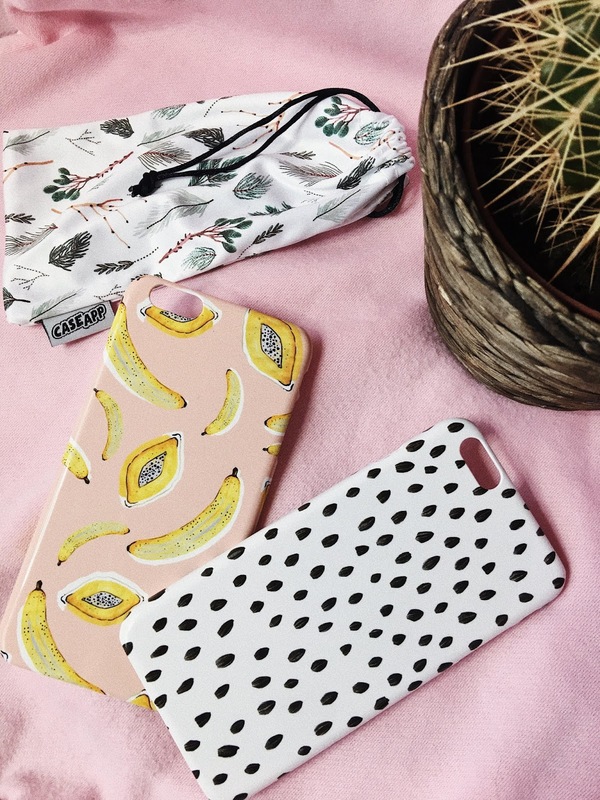 I am so happy to be collaborating with them, because I truly love the cases. I have ordered two personalised phone cases which I have chosen from their designs. They have so many cute designs!! Actually, I had a hard time picking only two designs. 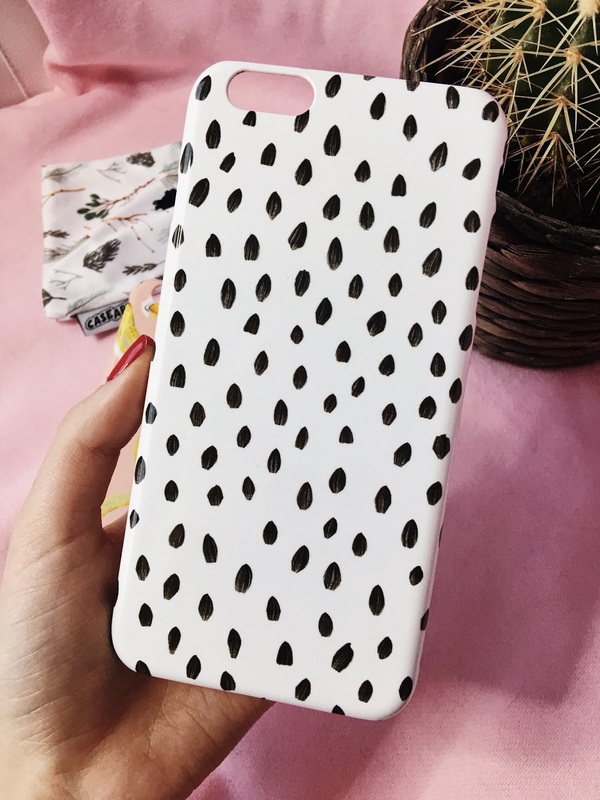 You can also make your design and upload your own photos to the case. I picked the one with these paint dots/dashes or something like that. (you can see in the photos) It looks super cute and I love this trend! 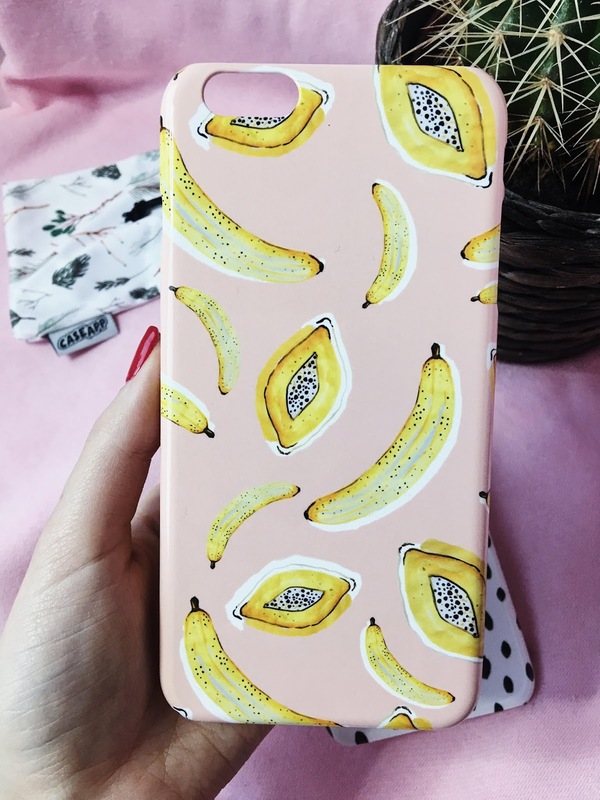 The next phone case I chose as you can see in my photos is this pink one with little bananas and papayas! How adorable it is?! I really, really love it! 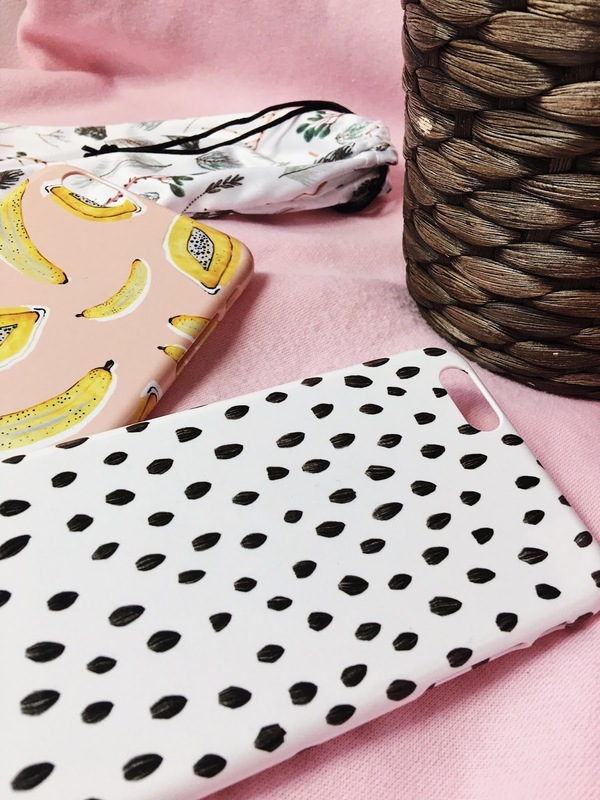 These phone cases have a really good quality - I think I have never had a better quality phone case like ever. Really. 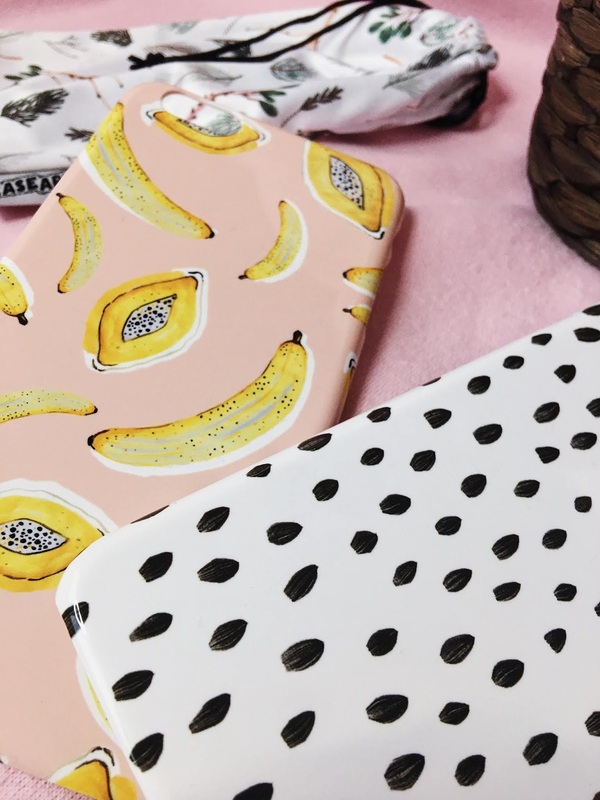 It's perfect to prepare for the springtime and to bring some colours to your outfit! 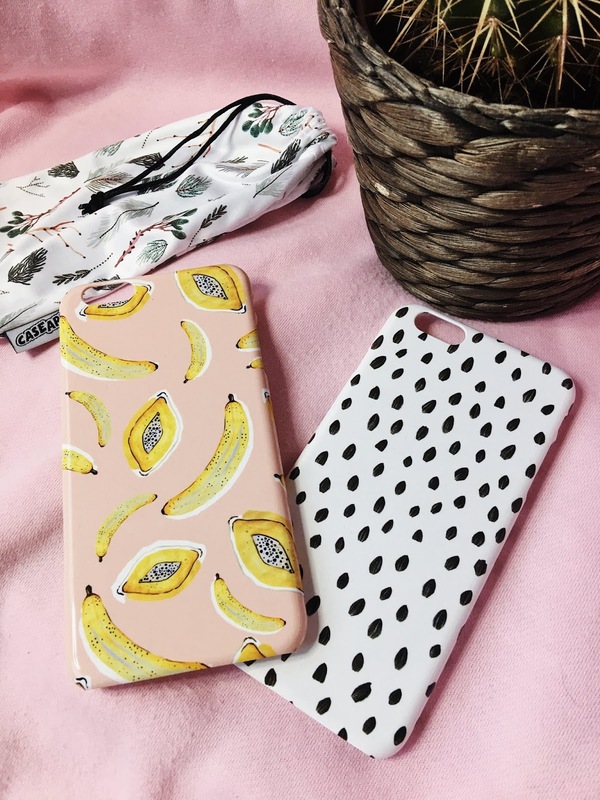 If you are interested in these cases - check out the Case App for more cute designs! They have a lot different and everyone will definitely find the perfect one for them. I also have a little gift for all of you! Today I will post a photo on my Instagram where you will be able to participate and win personalised phone case from Case App. Make sure to go to my post and participate in my Giveaway! 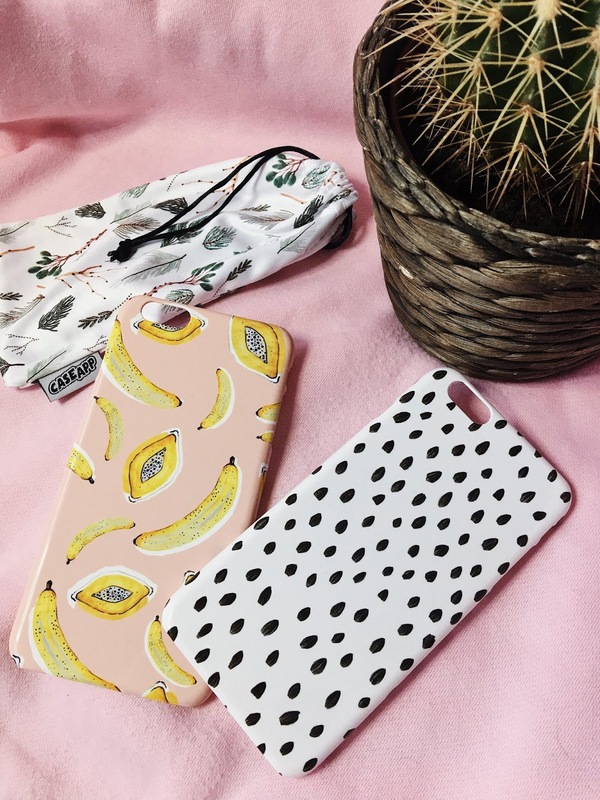 And with the discount code BERNADETA20 you will get 20% off your order at Caseapp.com until February 14th 2019! Don't miss the change!